Important inferences can be gathered from a survey recently conducted by the College of Business to understand social media habits of UMSL students. 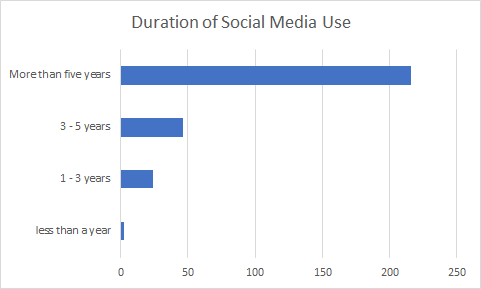 Trends in social media usage among students is clearly defined by the respondent’s age, profession or working experience, major/area of study, and other prominent demographic differences highlighted in the results. 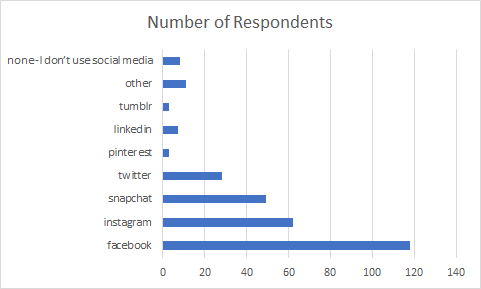 The data collected from 289 respondents clearly ranks Facebook as the number one social media platform among UMSL students with 118 responses, while Instagram is preferred by about half that number with 62 responses. When the data was first collected, it was interesting to see that Instagram was not the most popular social media platform among students, despite its huge popularity among millennials. Another notable part of the survey results relates to social media’s role in a work environment. While only 14% of respondents said they use LinkedIn as their first, second, or third mode of social media, 37% said they use various social media platforms at work. 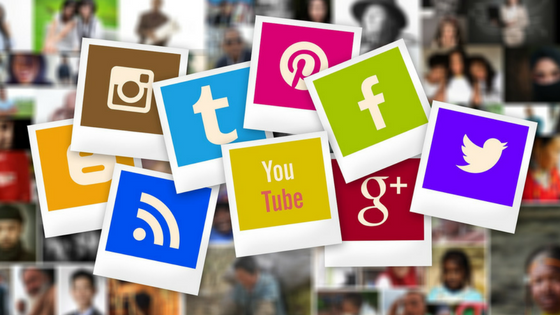 This statement speaks to the power of social media as a business and marketing tool, reaching beyond its traditional scope as a place for social networking. Charts 1 through 3 illustrates and describe key takeaways from the survey results. Chart 1: The data reflects a strong preference for Facebook among UMSL students. The majority of the respondents fall into the 18-24-age category (55%), with 27% being within the 25-34-age bracket. Although this is the case currently, it is of interest to UMSL Business to conduct this survey again next year to compare and see, if the trend persists in future. 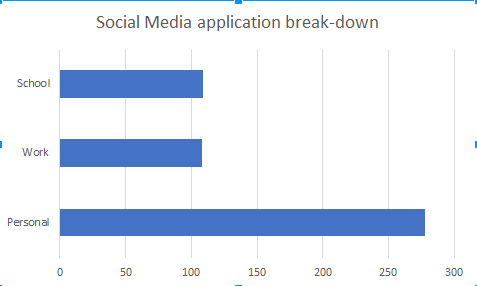 Chart 2: The majority of UMSL students use social media for personal usage, while some students are required to use them for school and at work. Using social media at work, in general, is becoming increasingly popular. Although Facebook discontinued its group app, it is still a hub for communication through its messenger application, a supplemental service offered by the social media giant. Outside of work, messenger and other instant messaging services and applications are driving engagement and propelling these trends forward. Another interesting aspect to look into is the frequency of social media usage. 59% of UMSL students confessed that they check their profiles multiple times a day, with 26% being on social media constantly. Only 6.5% of students use social media outlets rarely. These results are not surprising given the ubiquity of social media. Chart 3: Many students have had some form of social media for years. Using social media has become a part of a millennials’ daily routine. The millennial generation often jokes, “did you really do something if you don’t post about it in some form on social media?” As far as the data shows, social media is not going anywhere and is growing more and more every year. This survey can be summarized as an important piece of research for UMSL Business because it is enlightening to the whole university community. UMSL Business encourages students to take the initiative and get ahead of this trend and harness it as a skill in their future careers. One of the best ways to do this is to enroll in digital and social media marketing courses, get involved in the Marketing Club activities, as well as get additional certification through UMSL Digital.